I recently released three books that are available for download, on Amazon kindle. I promise you good reads…get your copy! A lot of ink has been spilled about Eminem and a lot of authors will probably write about him within the next years. From controversial to acclaimed, the famous rapper barely leaves people indifferent. Yet a lot of misconceptions about him are prevailing about Marshall Mathers and some of them are due to the fact that he is too often presented as a white rapping artist, while his connections to the Detroit rap scene are occulted by many Eminem biographers. This is one of the main reasons why I decided to write ” Eminem and the Detroit Rap Scene- White Kid in a Black Music World”. It would be really hard for people to understand who Eminem actually is without mentioning the Detroit scene that birthed him as an artist. I have ten years of expertise in music journalism during which I have been expressing on Eminem, the Detroit hip hop scene and numerous hip hop related subjects. I have gathered a lot of verified facts about Marshall Mathers, the man and the artist. Because of his warped sense of humor contained in his wicked lyrics, Eminem has often been depicted as a hate monger by the press, often by people who were quite ignorant of the world of hip hop. You could barely separate Eminem from his musical environment. 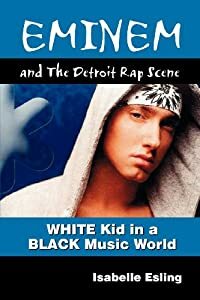 Wanting to go deep into the roots of Detroit hip hop, I have been in touch with numerous local rappers, I interviewed and reviewed many of them, debatting with them: My journalistic curiosity lead me to investigate about how Eminem was introduced to the Detroit black rapping scene. People ought to know that African- American rapper Champtown played a major role (that is underlined in my book) in Eminems early rapping years, around 1992. Champtown was the first to offer him some consistent musical collaborations. Besides presenting Eminem in depth, my intent was also to unveil some known and hidden local Detroit emcees talent ( sorry about the ones that didn t get a mention, there are so many talents in Detroit). I interviewed some key rappers in Detroit, including Big Proof of D12. I also gave voice to local rappers who don t necessarely agree with Eminem and his role within the Detroit scene, like 5 ELA. 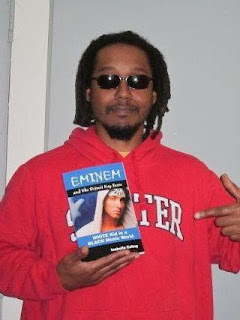 If you want to understand Eminem from an objective perspective and learn more about the extraordinary Detroit rapping scene, get your copy on Amazon. I promise you a good read! Journalist at Michigan Citizen , Steve Furay, gave my book a review in Michigan Citizen. Have a look! Isabelle’s insight alone gives the book credibility, but she digs much deeper showing how Eminem and the Detroit Rap Scene has impacted our American culture. This book is more than a well documented biography of the rapper’s life. Isabelle has been given her readers a level of access to Eminem that I feel no other journalist has come close to. Her insight takes the reader deep into the heart of the Detroit ghetto long before Eminem was a superstar. What is Unwrap Your Present about? In our hectic society, most people are so much absorbed by their speedy tempo and also so much worried about the future or depressed about the past, that they are forgetting and missing the beauty of the NOW. Only a better awareness of the present will allow them to live a fuller and richer life. 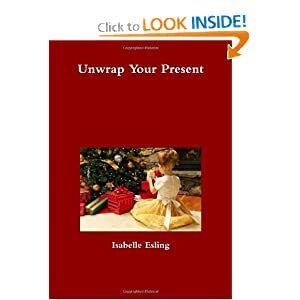 â€œUnwrap Your Presentâ€ is a self-help book that allows people to release stressful and negative thoughts through a better conscience of the now. My book is enriched with personal experiences, meditation and visualization techniques. Its aim is to allow the readers to develop a conscience of the momentum and to enjoy life to the fullest. The market for this book would address to anybody who is interested in self-improvement and living life to a richer dimension. Readers of spiritual books, in particular, are targeted. I’ve collaborated with Stretch Money, Quest M.C.O.D.Y., Proof of D12 and Royce Da 5’9.â€ They were all great experiences. It was great to work with Royce on the song â€œBorn To Dieâ€ and the late Proof on Helluva’s â€œI Dare You.â€ Recording with hip hop veterans definitely keeps my game sharp. I’ve also had the opportunity to open up for P. Diddy, D12 and G-Unit. Author IsabellePosted on 9th December 2012 1 Comment on Detroit writer Contel Bradford reviews "Eminem and the Detroit Rap Scene"